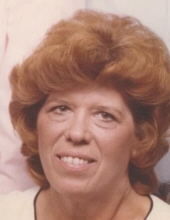 Dolores Mildred Gilley, loving mother, sister, grandmother, great grandmother and friend passed away Tuesday, January 29, 2019 in Midwest City, OK. Dolores was born on October 5, 1930 in Meeker Oklahoma to Claude and Odessa Lane. Dolores grew up in Meeker and graduated from Choctaw High School. She loved her coffee and visiting with friends. Dolores also enjoyed sewing, dancing, reading and playing games at the casino. Dolores was survived by her daughter, Susan Wathan; son, Larry Gilley; five grandchildren, Jennifer Karr, Janelle Greene, Colby Wathan, Chase Wathan and Paden Wathan; three sisters, Donna Lambert, Glenda England and Rita Turner; one brother, Dennis Lane. She was preceded in death by her parents; husband, Leonard Charles Gilley; son-in-law, Jimmy Lee Wathan and brother, Raymond Lane. Services to remember Dolores will be on Friday, February 1, 2019, 11:00 am, at Barnes Friederich Funeral Home with interment to follow at New Hope Cemetery, Meeker, OK.
To send flowers or a remembrance gift to the family of Dolores Mildred Gilley, please visit our Tribute Store. "Email Address" would like to share the life celebration of Dolores Mildred Gilley. Click on the "link" to go to share a favorite memory or leave a condolence message for the family.